insuring it's caretaker many years of quality living. The proccess here is as ancient as knowledge itself. 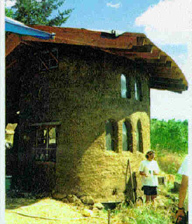 have in building a COB home together as a community project. 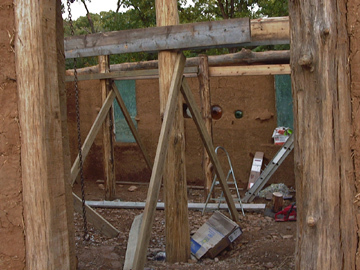 walls are built (below) where shoring will no longer be necesary. (above ) 300 lbs per square foot crush strength. 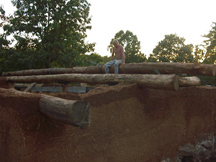 that will be the final step to roofing this COB home. of common roof will do just fine. It is a matter of personal choice. 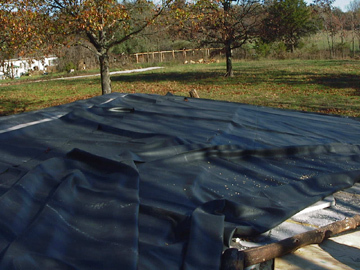 Rubber liners can be purchased from almost any roofing company. They are long lasting and durable and can withstand multiclimate conditions. however to have a sod roof these liners are a necessity to prevent leaking. some of them later on this web site. 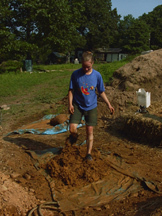 insulate even when the sod is wet. These homes below are often refered to as 'cottages'. These cottages are finished homes. 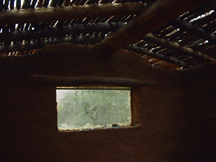 As you can see the finished home is very comfortable and attractive. 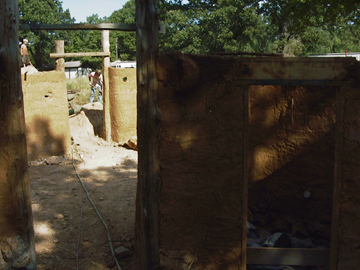 clay in the ground to beautiful, long lasting, durable homes. In the following pages indoor finishes, colors, and textures will be explored.